When Andrew and I first imagined Pill Prompter in 2010, it started as a weekend project that served a single purpose – remind someone to take their pill. We built it out mainly to learn about how to make an app and honestly had no idea it would resonate with so many people. Some of you have been using that original app for years and we can’t thank you enough for supporting us all this time. As we’ve grown in our respective skills, we’ve come to understand more and more about proper app design and listening to user feedback. One of the biggest requests we’ve had over the years is “let me add more than one pill.” So our next version of Pill Prompter will do that and more. We’re going to enable multiple pills, naming, scheduling, history, and of course we’ll continue to have snoozing. We’d love to hear your feedback and we’re actively looking for people who’d be interested in talking to us about how they’d like to use Pill Prompter and those who’d want to test a beta of the app early. If that’s you, please send us your email below. We’ll only use it for Beta announcements. This entry was posted in Development and tagged Pill Prompter on November 16, 2014 by matt. Tipt and iOS 8 – Good news, bad news. Bad News – There is currently a conflict with iOS 8 and Tipt. We are working on a fix and it should be released shortly, but if you use Tipt regularly we advise you not to upgrade at this time. This entry was posted in Development and tagged App Update, Bug, Tipt on October 16, 2014 by matt. 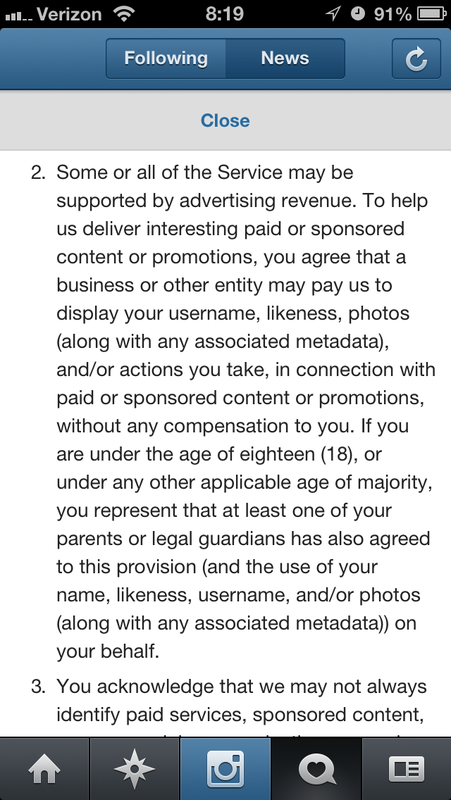 As you may well be aware, Instagram changed their terms of service yesterday giving them the right to sell your images for ads. Wired.com wrote a post on how to download your photos and delete your account. As you’re exploring your options, I thought this would be a great time to introduce Tweet Pics. 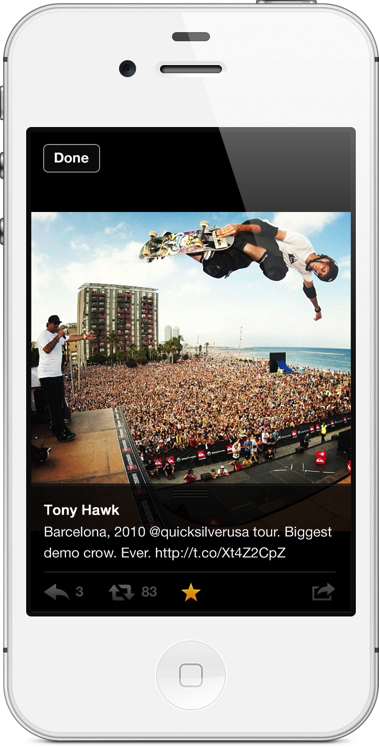 Tweet Pics is a little app that Andrew and I launched this week that gives you a Timeline similar to Instagram of all the pictures in your Twitter timeline. Even better, you can do even more with these photos than you could with Instagram. 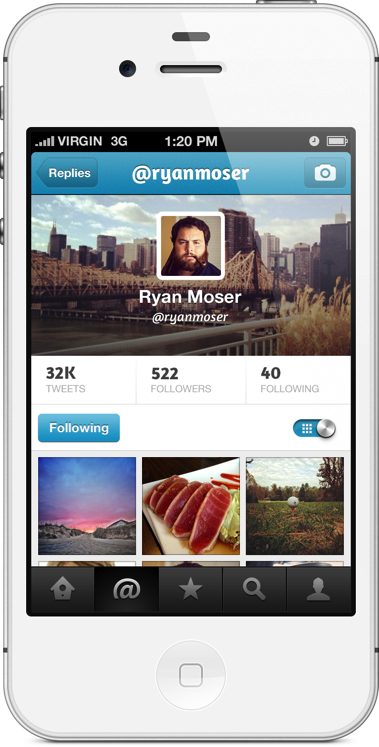 You can view fullscreen, download images, retweet pics of you or pics you like, and save favorites. Your Twitter profile looks much more like your instagram profile, showing all the pics you’ve posted through the variety of image services out there. It doesn’t matter if you tweeted an instagram pic, TwitPic, yFrog, or Twitter image! We’ll make a full launch page soon, but you can find out more in the app description. This entry was posted in News on December 18, 2012 by matt. We’ve been fighting a bug in Pill Prompter for the past few weeks that causes the app to continually crash when opened. Please bear with us while we try to locate the cause of this behavior. If you have this issue, the only solution right now is to uninstall and reinstall the app. To uninstall, simply tap and hold the icon until all of your apps begin to jiggle. Then tap the “X” and confirm that you want to remove the app. Then find the app in the app store and redownload it. You Will NOT be charged twice. We apologize for the inconvenience and again ask for your patience as we track down what’s causing this. This entry was posted in Development and tagged Bug, Development, Pill Prompter on November 16, 2010 by matt. This entry was posted in Apple on October 22, 2010 by matt. Since the release of Pill Prompter, we’ve been trying to brainstorm new ideas and find areas where the iOS app market is lacking. One of our ideas – that came rather quickly – was for American Football fans to be able to keep up with all the NFL games going on at once. So we came up with “Pigskin Live” which updates every 10 seconds, anytime a game is going on. So if you’re stuck in the supermarket on a Sunday afternoon, or working late on a Monday night, you can just slide open your iPhone and watch the clock, watch the scores, keep up with multiple games at once, see big scoring events like Touchdowns and Field Goals, and also see interceptions and game times. You can flip through each game going on like you can with Apple’s weather app and see the results for games that already ended or start later as well. Even if you’re stuck on Edge, this little gem should update with no problem. We’ve made sure that the data load is light, but be sure to watch your data usage if you’re not on wifi. Just like Pill Prompter, we made sure this will work for iPods as well, but due to some limitations it’s iOS 4.0 and above only. We submitted “Pigskin Live” to Apple for review just a few days ago, so we’re hoping it’ll be ready by gametime the weekend of the 16th. Update 10/15: It’s out! Grab a copy in the App Store. This entry was posted in News on October 6, 2010 by matt. Pill Prompter To Be Released Oct 1st – Win a Free Copy! Yes, you can win your very own copy of our fantastic new app called Pill Prompter. “What is Pill Prompter,” you ask? Well it is more than you ever dreamed a digital pill minder could be! It slices! It dices! But wait, there’s more! It reminds you each and every day to take those meds, and even lets you choose what time! “Awesome! So give me a copy already,” you say? Well here’s whatcha gotta do. We’re giving away 10 copies and there’s 2 ways you can enter. You’re free to do both and double your chances. Entry 1 – Follow us on Twitter @pinchstudios and retweet this tweet. Simple right? Entry 2 – “Like” us on Facebook and leave us a comment saying what you want to see us build next! We’ll announce the winners on Friday so you have roughly 36 hours to enter! We’ve just added a 3rd way you can enter! See “Entry 3″ above. Thanks everyone for entering! We’ve notified all the winners. If you grab a copy please be sure to add a review! This entry was posted in News on September 29, 2010 by matt. 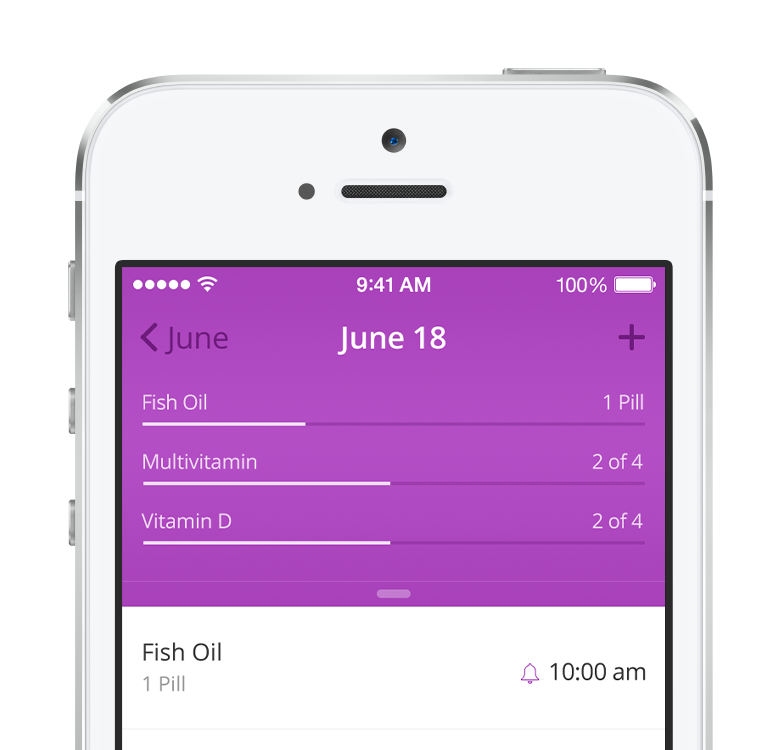 Pill Prompter is a simple tool to gently remind you to take your pills each day. If you choose to snooze the alert, it will remind you again later based on your adjustable snooze length. We’ve put far more time into this app than we expected, but it will hopefully show in it’s polish and shine. It also goes to show how much really goes into making even a little app like this. We started this project with the goal of learning how to get ourselves started. Andrew has a background in various different languages, but Objective-C was new to him. I have experience as a Web Designer, so there was a lot for me to learn as well. We’re both really excited to see this launch in the next week or two. Right now, we’re trying to work all the last bugs out and hope to submit it to Apple for approval next week! We’ll be sure to update when we have a launch date. In the meantime, we’re planning our next app. We’re super excited to say that it’s probably going to be a game. What do you want to see in a game? 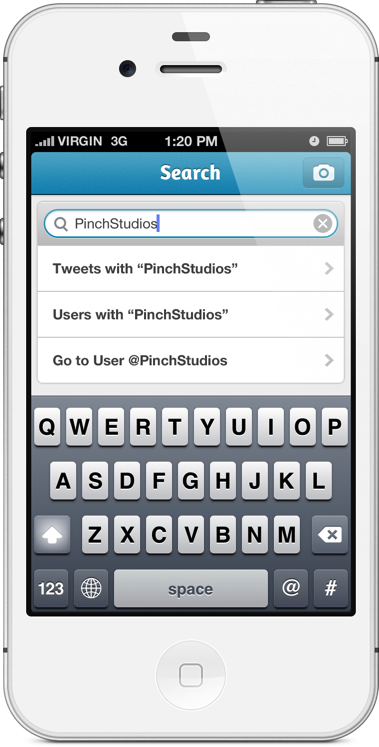 Let us know your thoughts in the comments or on twitter @pinchstudios! This entry was posted in News on September 17, 2010 by matt. As I started to design our first app I found that it was very difficult to know where to start. Apple doesn’t seem to have many resources for designers but has loads available for developers. So the first direction I went was to understand the dimensions of the iPhone and I made a PSD that work with those dimensions. However, I need something better. After some poking around, I came across a great Photoshop file available for download for free by Teehan + Lax. It had all the iPhone user interface buttons and sliders and menu bars, and it also had the iPhone body. I started to use that (note: it’s a very large file so you need to have a fair amount of RAM available) and it was such a timesaver. It also made it easy for creating the screenshots and mockups of what the UI would look like on the phone. So about halfway through the design proces, I to realized that I needed to up-convert my design for the iPhone 4, and this presented a really confusing challenge for me because I knew that iPhone 4 had a much higher resolution than the previous generations and that it displayed 326 dots per inch. So this confused me until I realized that I didn’t have to make my Photoshop file at that size and dpi. All I needed to do was double the size of everything I designed for the regular iPhone. A 48×48 button on the 3gs becomes 96×96 on the iPhone 4. But beginning at 48×48 and converting upwards is very time consuming. It makes much more sense to start at 96×96 and then export at half the size. In other words, work from iPhone 4 resolution downward. By now I’m sure you’re wondering if Teehan + Lax made an iPhone 4 version of their fantastic psd, and the the answer is YES! I’m very appreciative to them for this great asset because it seems like a lot of work when you read their blog article, and they’ve presented quite a resource for us designers. So hopefully after reading this, you will have learned from my mistakes and be able to get over that initial slump am not knowing how to begin. 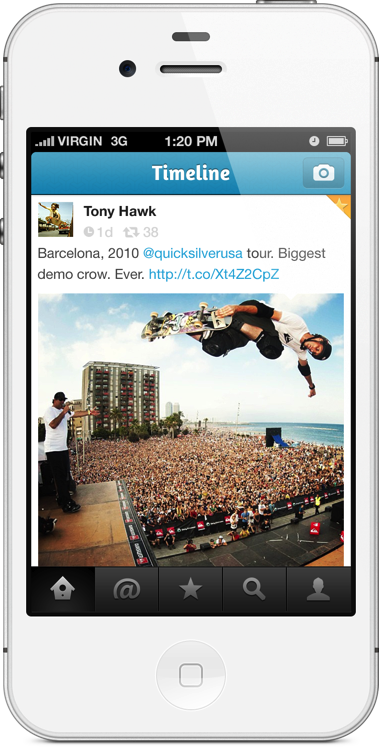 This entry was posted in Design and tagged GUI, iPhone 4, PSD on September 3, 2010 by matt. This entry was posted in News on August 30, 2010 by matt.